Thanks to melting ice caps and the thermal expansion of water, scientists agree that at the current rate, sea levels could rise by up to two feet (0.6 meters) above 2005 levels by the end of the century. A new sea level rise study adds to the consensus: it shows that the most vulnerable coastal communities of the planet could see their shores drown under four extra inches (10 centimeters) of water per decade by 2100. The new evidence, published in Proceedings of the National Academy of Sciences (PNAS), came from 25 years of satellite data, painting a 3D picture of the oceans’ changes over time. The authors did so with an unprecedented level of detail, setting apart natural climate variability from the influence of greenhouse gases. 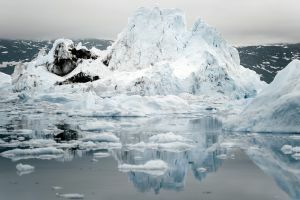 They were also able to map entire oceans, showing the specific influence of polar ice melt on rising water levels. This, combined with the increased risk of mega storms, is already a very present threat for the small island states of the Pacific. Yet it won’t spare the U.S.’ coasts either. And according to the Oakland’s Pacific Institute, climate change will not only threaten one of California’s main economic drivers by eroding its beaches, but it will also make local communities prone to more severe floods. Gary Mitchum, a co-author of the study with the University of South Florida, told Inside Climate News that “the findings are a ‘game-changer’ for the climate discussion.” While the study reinforces a body of knowledge that was already in the public domain, it also conveys a new sense of urgency, showing the importance of ramping up preventive measures across the world.